Looking for cute best friend gift ideas for a teen girl? Lots of teens have best friends or group of friends who “get each other” and spend all their spare time talking, texting and hanging out together, sharing secrets and their innermost thoughts and fears. Many of these adolescent friendships lay the foundation for friendships that last forever. There is no better way for teens to celebrate and honor these special friendships than with a meaningful keepsake gift they can treasure for years to come. 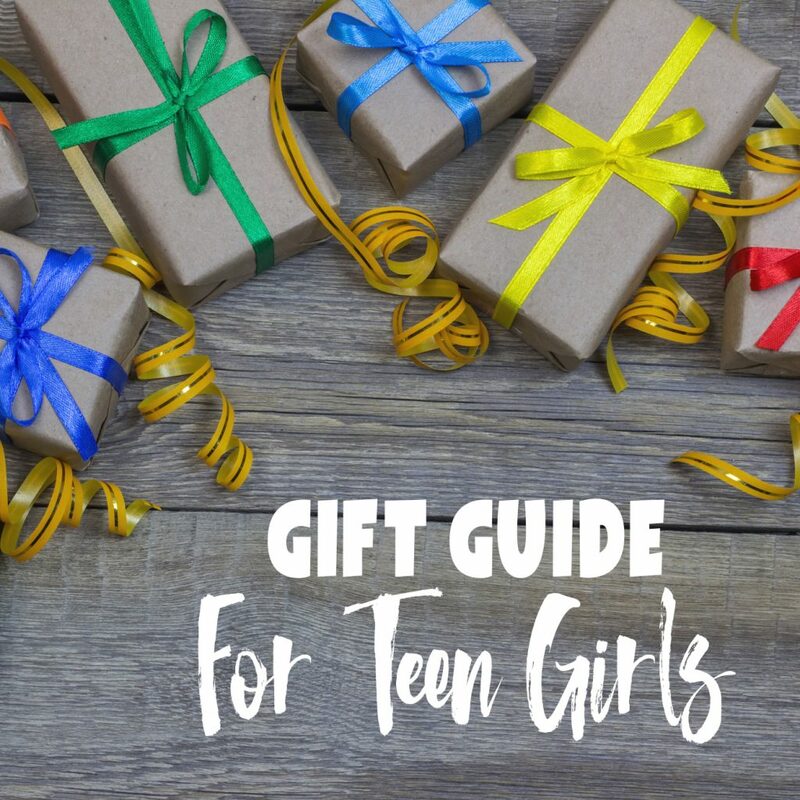 Below you will find a selection of unique best friend gift ideas to help you assist your teen in picking out the perfect gift for her best friend or a group of best friends. 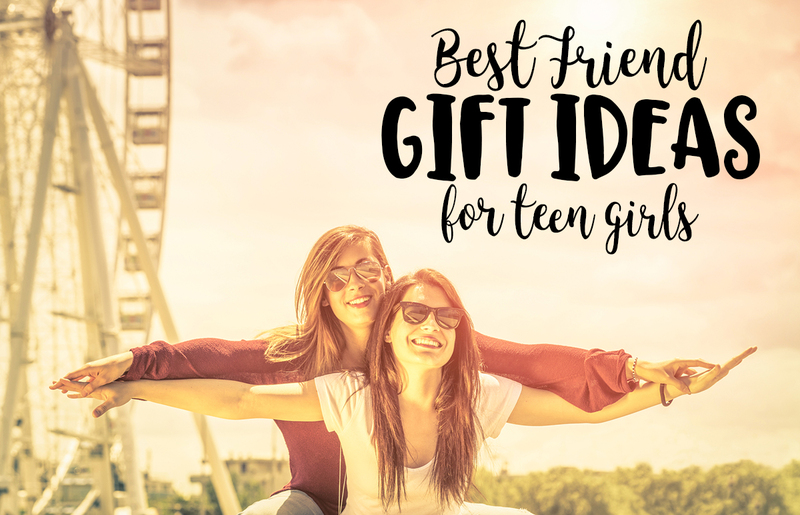 I have included gift ideas that can be shared among groups of friends, as well as gift ideas for teens to give to their best friend. 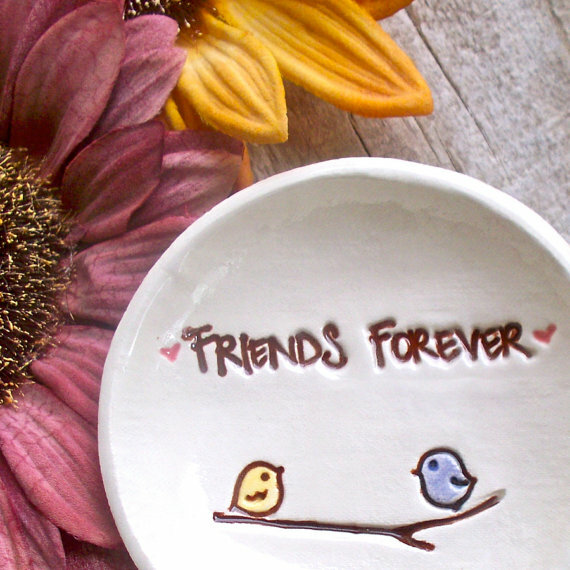 There is also a gift idea just for celebrating a long-distance friendship. These best friend gift ideas make lovely gifts for Christmas, birthdays, going away, graduation or just because best friends are awesome and deserve to be celebrated. All these handmade best friend gifts can be purchased on Etsy from artisans across the world. 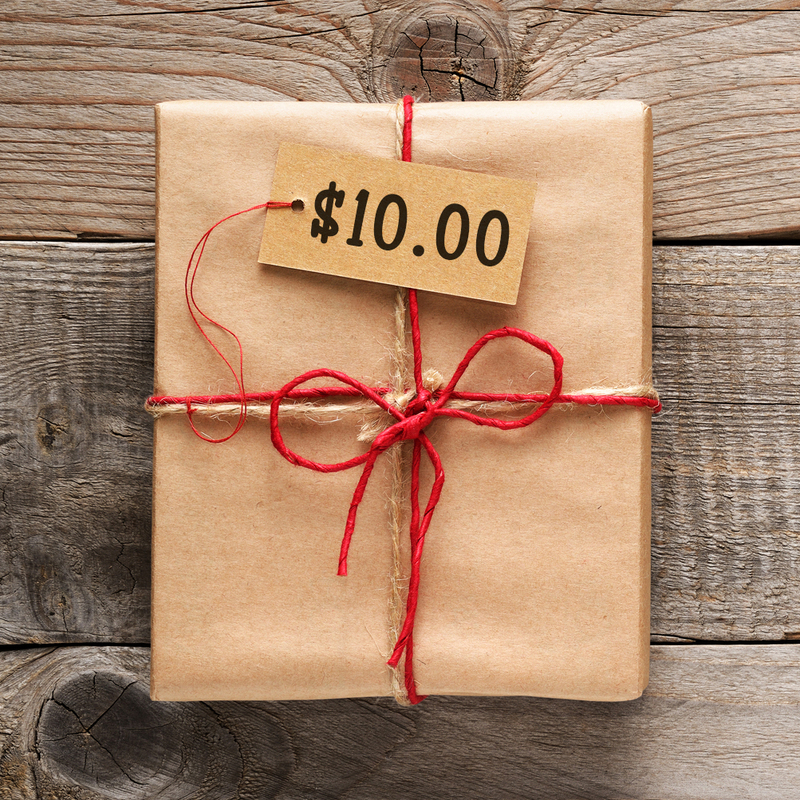 When you buy handmade gifts, you not only directly support small businesses and families, you can be confident your item is unique and made with love. 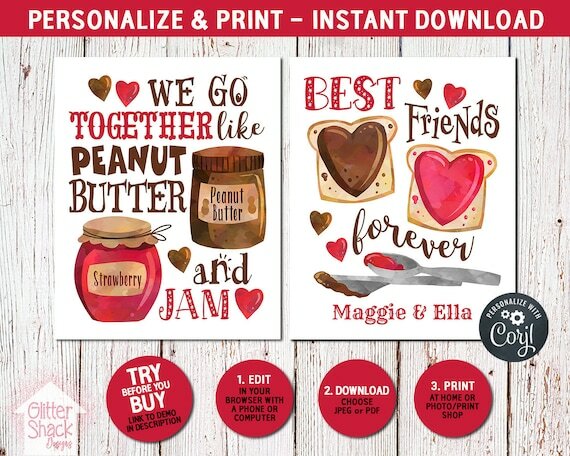 This set of adorable peanut butter and jam digital prints makes a cute and inexpensive gift for teen girl best friends. The first print features “We Go Together Like Peanut Butter And Jam” nestled among a jar each of peanut butter and jam. 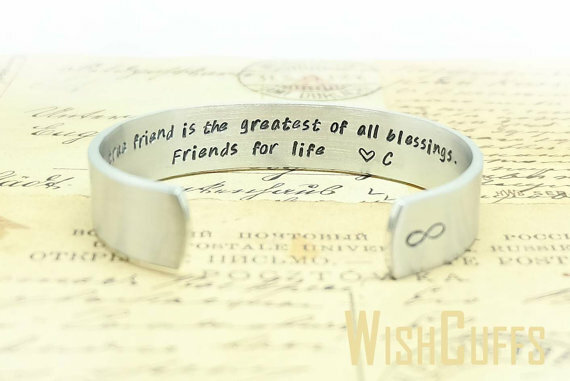 The second print features the phrase “Best Friends Forever” with the option to add a pair of personalized names to the bottom. 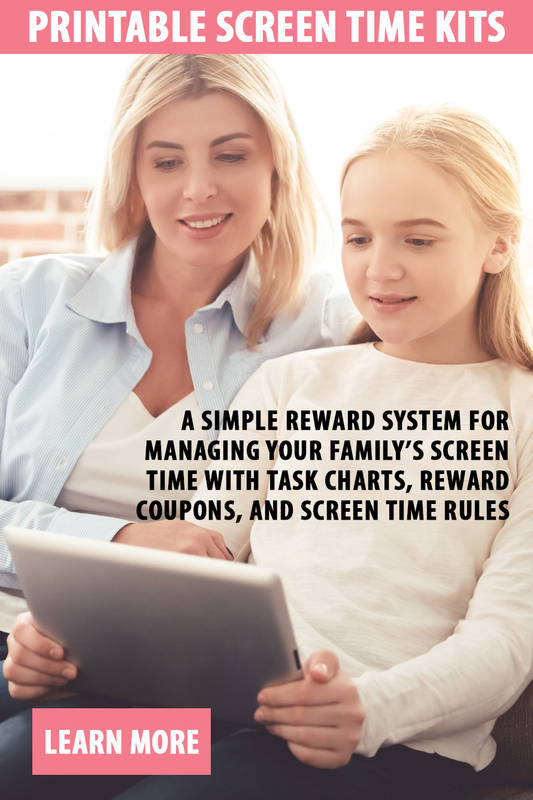 Available to personalize, download and print immediately after payment. A custom digital portrait is a one-of-a-kind and unique gift for best friends to celebrate a special friendship. These adorable portraits are created with a stylized illustrated likeness from photographs you provide. Perfect for a best friend duo or a group of friends. Customization options include choosing the outfits, hairstyles, hair color, skin tone, accessories, and face shapes. You will receive a personalized digital print for you to print and frame. 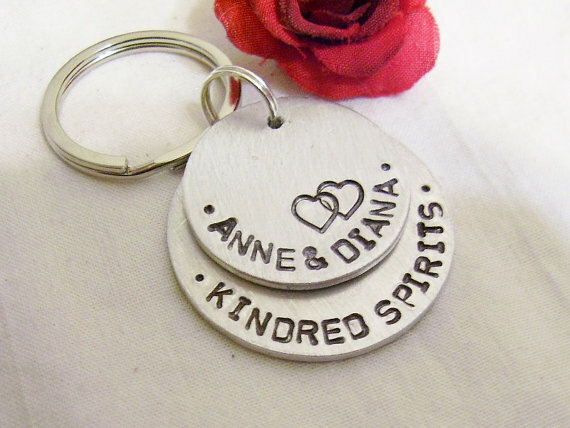 This personalized, hand stamped key chain, inspired by Anne Of Green Gables, is the perfect best friend gift for a teen girl to give her kindred spirit. Can be used for carrying a set of keys or as a decoration on a purse or backpack. Each aluminum keychain is lovingly made unique just for you. 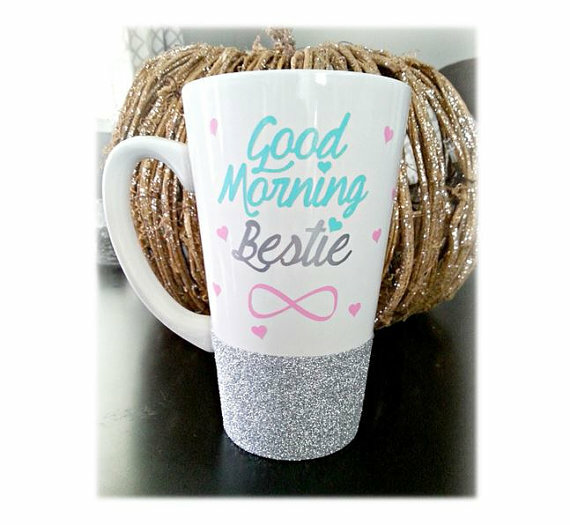 Teens can give their BFF’s a great start to the day with a gentle reminder they are loved with this cheerful “Good Morning Bestie” mug. Customize the mug to your liking. Choose the colors you would like on the design, as well as the color of glitter the mug is dipped into. 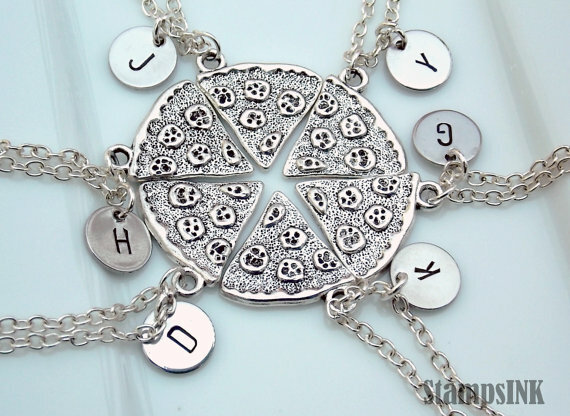 If your teen has a group of friends that are inseparable, these fun, personalized pizza slice necklaces make a great gift for the whole gang. Each girl gets a slice of pizza, personalized with their initials or a letter that forms a special word. You can order as many slices as you like. Best friend jewelry is trendy and hip with teenagers. Is your teen kindred spirits with a book nerd or aspiring writer? 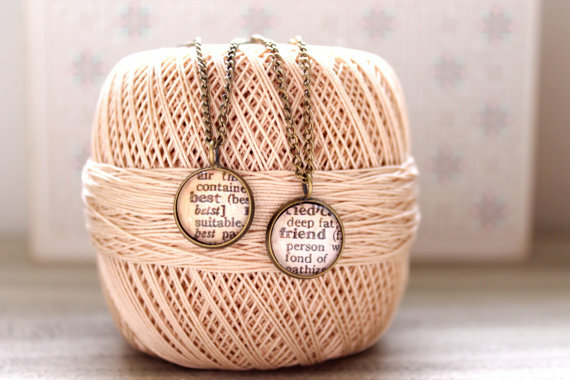 This pair of best friend dictionary pages necklaces makes a wonderful gift idea for two book loving, word-loving best friends to share. The necklaces are made from actual pages taken from old dictionaries and preserved under resin in antique bronze pendants. Stylish gifts don’t have to cost a bundle! 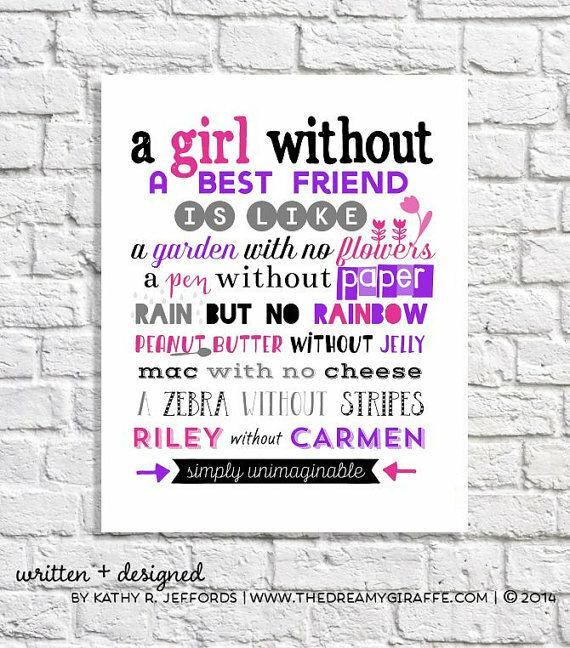 This playful and sassy best friends printable wall art print is inexpensive and gorgeous at the same time. This listing is for a digital download that you can print at home or at a photo center. Frame the typography print to make the gift extra special and ready for the recipient to hang on her wall. These gorgeous personalized, cuff bracelets make an extra-special gift for a best friend. The friendship bracelets are hand-stamped with a personal message of your choosing and are available in a variety of textures. They are made from safe, food grade aluminum and will fit most wrist sizes. 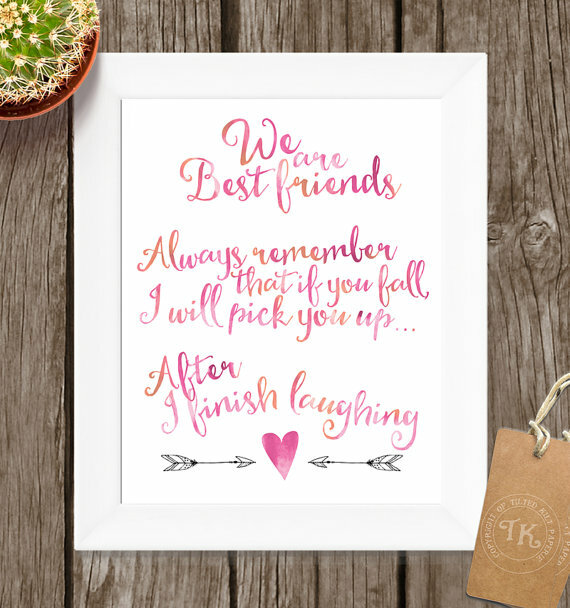 If you have a teen that shies away from expressing sentimental messages, this best friends fashion wall art print is the perfect non-sappy gift for celebrating a special friendship. 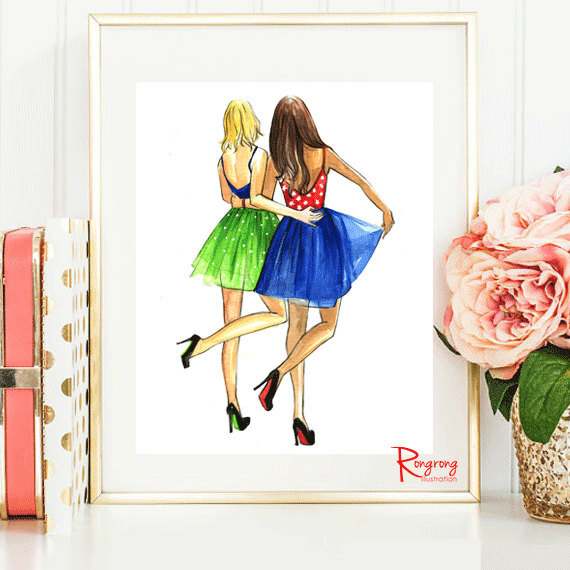 This trendy and hip artwork print makes a wonderful gift idea for a best friend who has a passion for fashion and style. 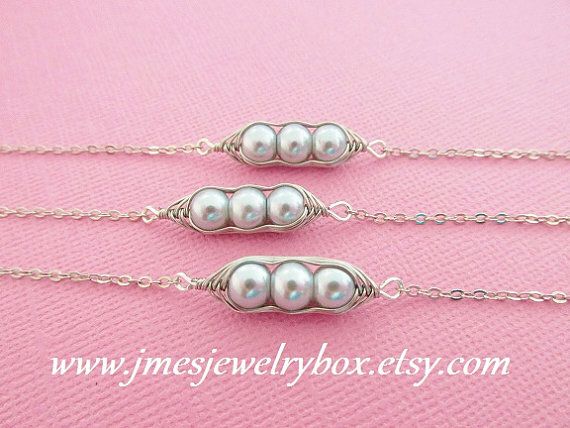 This three peas in a pod bracelet set makes an adorable gift for three best friends. The set includes 3 bracelets, one for each girl. The wire-wrapped bracelets include three peas, each one representing one of the girls. Browse this seller’s store for two and four peas in a pod bracelets. Does your teen have a best friend who lives in or is moving to a different state? 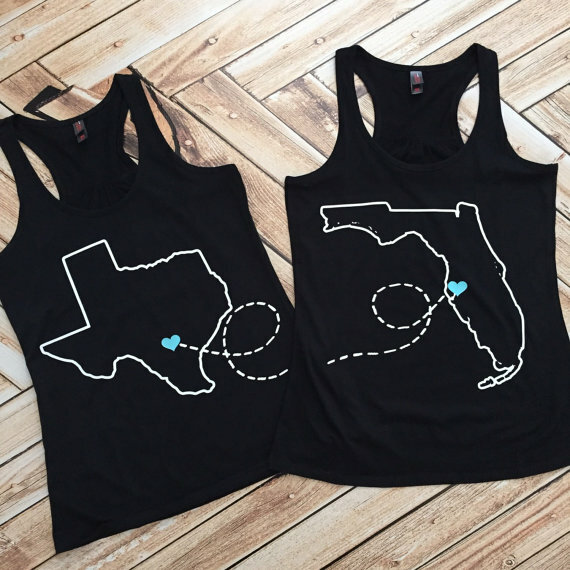 These long-distance best friend tank tops make a cute gift for besties connected at the heart but separated by the miles. This set of 2 tank tops are personalized with the two different states that each of the girls are living in. 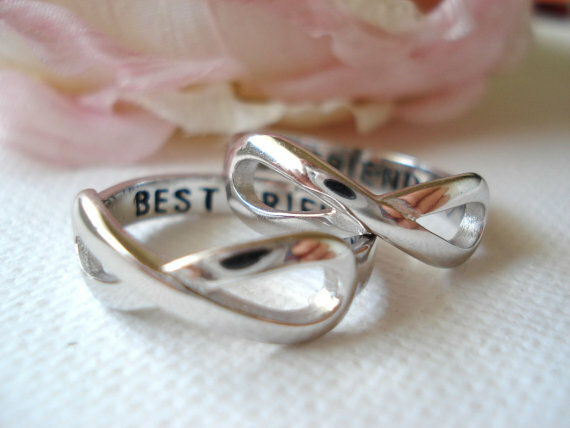 This set of best friend infinity rings is a truly special gift for a pair of best friends. These friendship rings are a beautiful way for girls to make a commitment to each other to be friends forever, to infinity and beyond. The rings are sterling silver and have the word “best friends” and a heart symbol engraved on the inside of the bands. The set of rings can be ordered in two different sizes, for a custom fit for each of the girls. 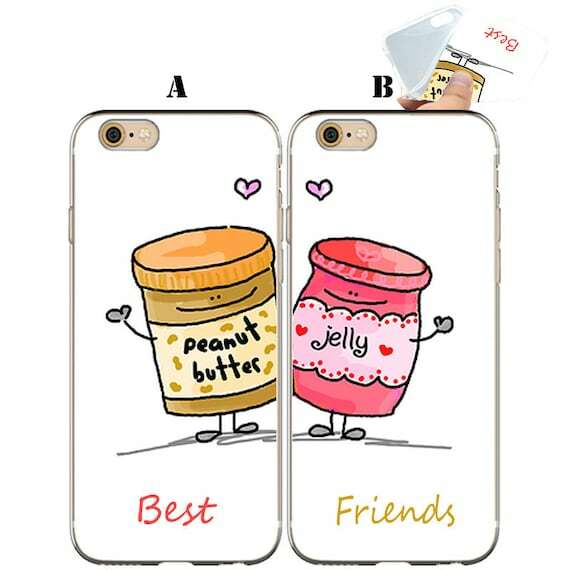 These cute PB & jam best friend cell phone cases make a fun gift idea for a teen who has a BFF who is the peanut butter to her jelly! This listing includes 2 cell phone cases, one for each girl. The cases are available in a variety of sizes for iPhone devices. Pick the size and style of each case to custom fit the phone each girl owns. Teens can swear to keep their best friend’s secrets safe with this set of 2 cute BFF pinky promise necklaces. 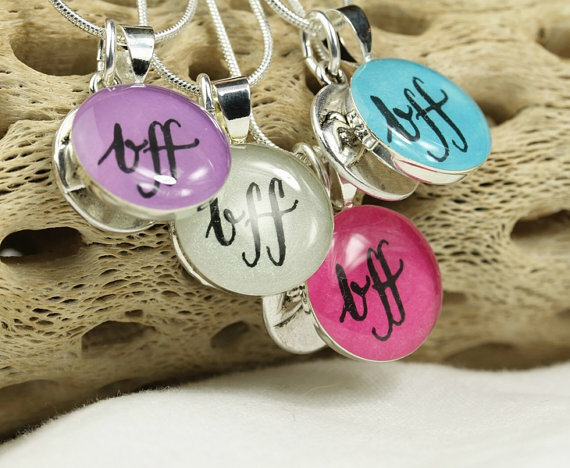 The bff pendants are hand-lettered on pieces of colorful papers and sealed in resin and strung onto a stylish snake chain along with a pinky promise charm. This colorful best friends wall art typography print is a fun best friend gift idea for a pair of besties who can’t imagine being separated. The art print includes a cute friendship poem, styled with a combination of accented letters of two colors of your choice. You could use the favorite color of each girl. These would make a great keepsake gift for a friend who is moving away. Has your teen has found her other half, her person who understands everything about her and loves all the crazy and unique quirks about her, and vice versa? This pair of stylish, hand-stamped “You’re My Person” and “I’m Your Person” key chains make a lovely gift idea for celebrating and honoring such a special friendship. One of the most precious and timeless gifts for best friends are photographs. This set of Printable Peanut Butter And Jelly Photo Booth Props are perfect for a fun and silly photo shoot for best friends who go together like PB and jam! A personalized best friend photo frame makes a beautiful keepsake gift for teenage girls. These mini wooden picture frames have 69 different backgrounds to choose from. There is a style and color combination for everyone one! The names and quote are customizable. You’ll always be my friend. You know too much. Ha, ha!! 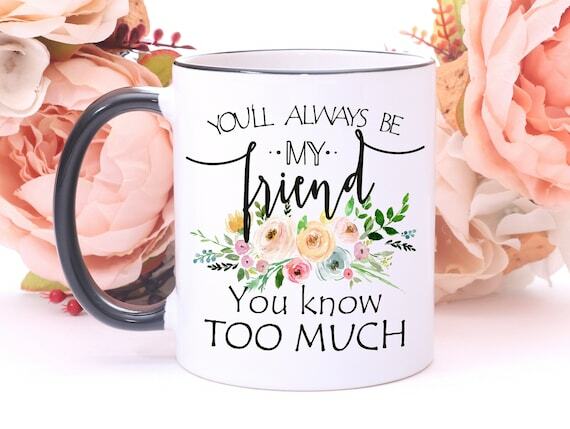 This funny best friend mug is the perfect best friend gift for besties who are the keepers of each other’s secrets and are sworn to secrecy! The 11 oz mug is permanently printed on both sides and is dishwasher and microwave safe. Thanks for visiting and I hope you found this selection of unique, handmade best friend gift ideas for teens helpful! More Gift Ideas You May Like! 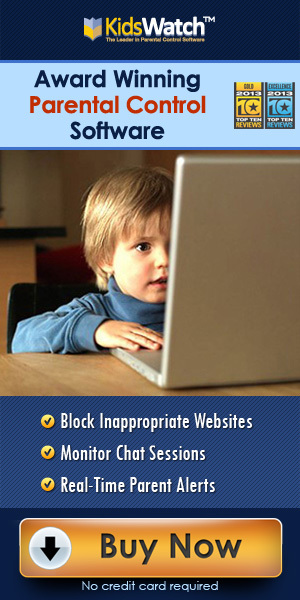 Best Fitness Video Games For Kids To Get Up And Get Moving!